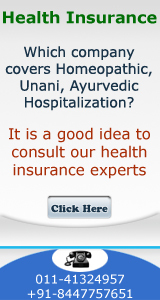 Critical Illness cover is an optional cover under the policy. Persons who will not opt for critical illness cover are entitled to Hospitalization and Domiciliary hospitalization expenses cover for those diseases categorized above as critical illness but up to the limit of Sum Insured under Section I i.e. under Hospitalization and Domiciliary Hospitalization Expenses and the claim for those diseases will be paid on reimbursement basis or as cashless hospitalization. Person opting for Critical Illness cover may opt for claim either under Section I or Section II(if not hospitalized) or under both sections for those diseases categorized above as Critical Illnesses but claim under Section I will be paid either on reimbursement basis or as cashless hospitalization if it is otherwise admissible. 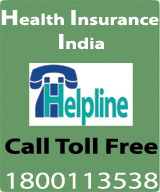 If in any policy year a critical illness is diagnosed and claim paid thereafter, in subsequent renewals the person may avail cover both under Section I & II but with the exclusion, both under Section I & II, of that particular critical illness which has been diagnosed and claim paid in the preceding policy year. Sum Insured: Sum Insured is fixed per person. Under Hospitalization & Domiciliary Hospitalization Cover sum Insured is Rs.1,00,000/- and under Critical Illness cover Sum Insured is Rs.2,00,000/-. Age Group: For fresh entry in to the scheme-60 years to 80 years. However, for renewal, age limit will be extended up to 90 years in which case the premium of 76-80 age band will be loaded by 10% up to 85 years and 20% up to 90 years of age. Preacceptance Medical Check up: No Medical Check up is required if the insured was covered under any Health Insurance Policy of National Insurance Company or other Insurance companies uninterruptedly for preceding three years. Other persons have to undergo medical check up at their own cost for Blood/Urine Sugar, Blood Pressure, Echo-cardiography and eye check up including retinoscopy. 1.0 In the event of any claim/s becoming admissible under this section, the Company will pay to the Insured person the amount of such expenses as would fall under different heads mentioned below and as are reasonably and necessarily incurred hereof by or on behalf of such Insured Person but not exceeding the Sum Insured in aggregate mentioned in the Schedule hereto. 1)Company's overall liability in respect of claims arising due to Cataract is Rs.10,000/- and that of Benign Prostatic Hyperplasia is Rs 20,000/- only. 2)Company's liability in respect of all claims admitted during the period of Insurance shall not exceed the Sum Insured for the person as mentioned in the Schedule. 3)Liability of the company under Domiciliary Hospitalization clause is limited to 20% of the Sum Insured under Section I and within the overall limit of sum Insured under section I. 4)Hospitalization expenses of person donating an organ during the course of organ transplant will also be payable subject to the sub limits under “C” above applicable to the insured person within the overall sum insured of the insured person. 5)Ambulance charges up to a maximum limit of Rs.Rs.1000/- in a policy year will be reimbursed.